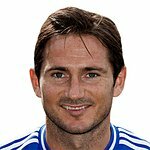 Nordoff Robbins has announced that this year’s recipient of the Nordoff Robbins Legends of Football Award will be former West Ham United, Chelsea and Manchester City midfielder Frank Lampard. Frank’s glittering career has seen three league titles, 609 top-flight appearances and 177 goals, and he is rightly recognised as one of the all-time great Premier League players. He will join Sir Stanley Matthews, Sir Bobby Robson, Kenny Dalglish and last year’s recipient Steven Gerrardin receiving one of football’s greatest honours. In marking Lampard’s achievements, the Legends of Football evening, held in partnership with the Premier League, will raise funds for Nordoff Robbins. “Legends of Football is a fantastic event that combines the power and popularity of the Premier League and the music world to support the crucial work of Nordoff Robbins. 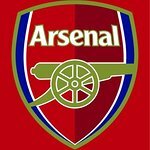 “This year we look forward to celebrating the career of Frank Lampard, who had a remarkable playing career and is a Premier League icon. “Events like the Legends of Football are vital to us as a charity,” said Julie Whelan, CEO of Nordoff Robbins. Nordoff Robbins receive no government funding and we rely on the generosity of our supporters to keep our services going. We thank everyone involved in this event for their hard work and dedication and a big thank you to all who attend – every penny raised goes directly towards our music therapy delivery, helping us to change more lives through music." Legends of Football will celebrate the career of Frank Lampard on 8 October at the Grosvenor House Hotel.